Just before Christmas, during the Hunger Games hype (massive fans of books & films! 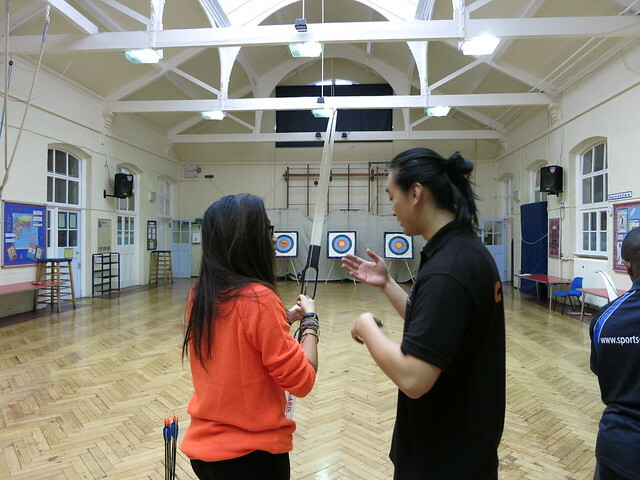 ), I got to get my Katniss Everdeen on with a spot of Archery with the guys at IS Coaching. Now, lets be real. 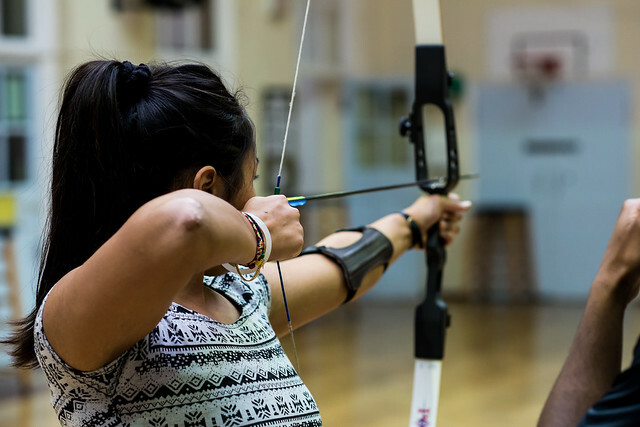 If it wasn't for Katniss, archery would have never been at the forefront of my mind...I mean...that's some Robin Hood, medieval shizz. Dated. Old form of hunting. A sport that no one I know really cares for...apart from one guy. 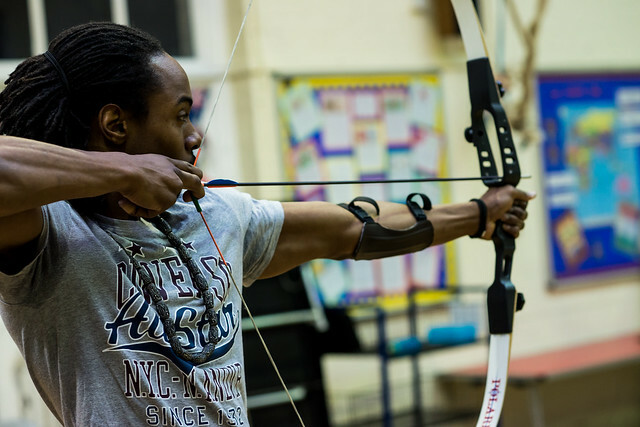 Don't ask me how our mate Andrew got into Archery, but he has. 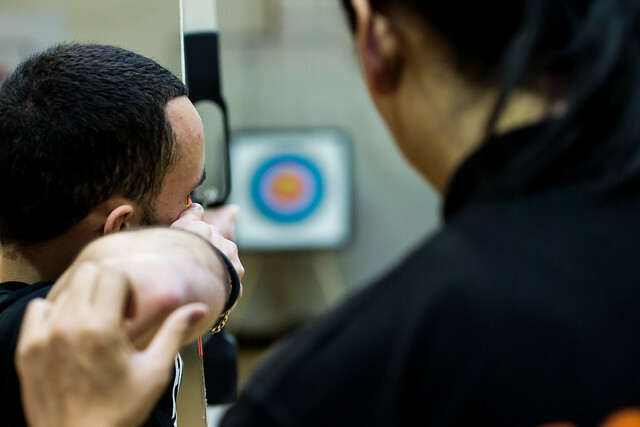 Not only is he passionate about it, he also teaches people to aim and shoot on a weekly basis. I KNOW, it's crazy. 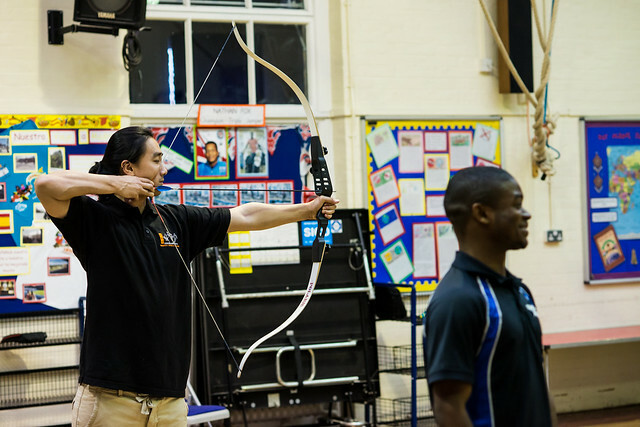 A group of friends and I all headed deep down south to a primary school gymnasium as another group of keen archers just finished up a session. 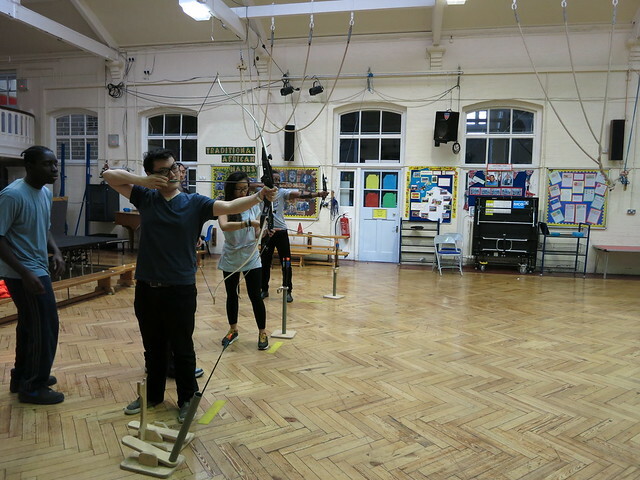 I was kind of surprised at how packed the first class was - didn't know there were so many wannabe Katniss's and Robin's in London! We spent the first 15 minutes practising technique. 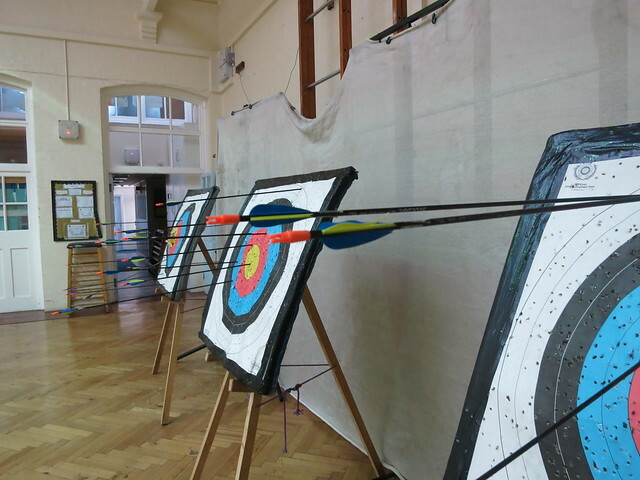 Not going to lie, it did take a few turns before I got to grips (geddit, geddit) with the bow and arrow. Give me a pair of trainers and I'm ready to go, throw in technique and equipment and it's pretty much a myth. 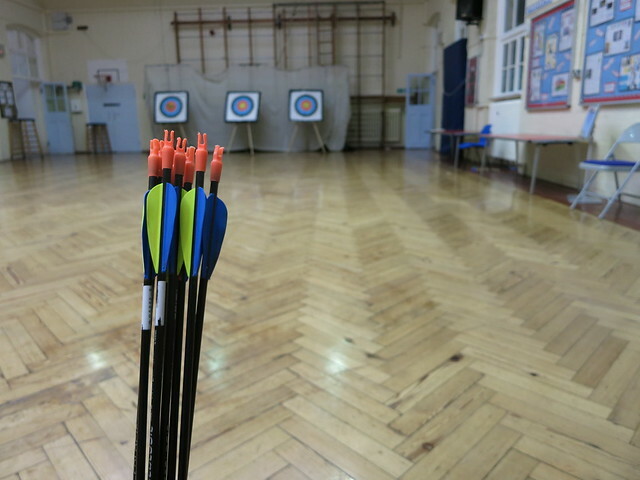 Everything from holding the bow upside down, using the arrow the wrong way round to placing the bow in the holder incorrectly, happened. But, I eventually got it. A few practice shoots and I was raring to go. We were put into teams of 3 or 4 and set up with different games and challenges to get points. 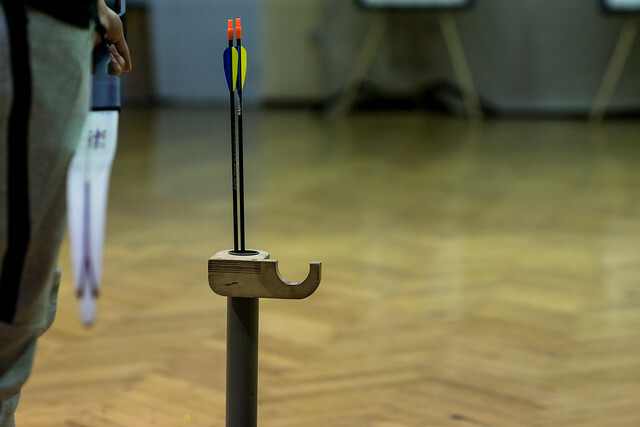 Sometimes hitting bullseye was worth maximum points, other times it was hitting the outside edges that gave you the upper hands. The games and rules were set up by the trainers, and we got one trainer each on our teams to help us! 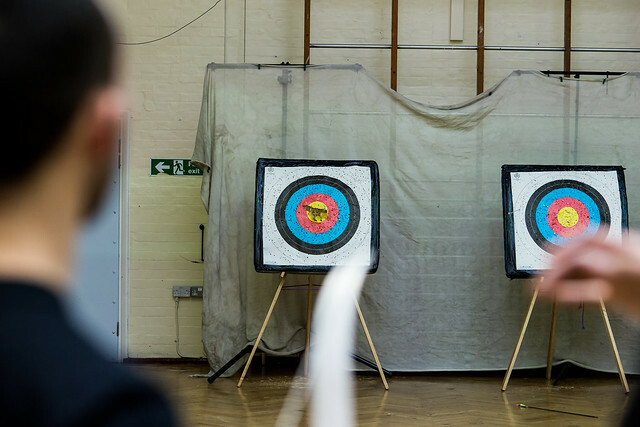 A few good shots in and, shieetttt, I thought I was some sort of Katniss hitting up those non-human targets. It's a shame I didn't have a bow holder across my back! Couldn't even test out jump 'n' shoot tekkers! In the 90 minute session we got about five different games in, all counting towards our total score. Let's just say competition was tough, and there was a lot of fight talk! JESUS. 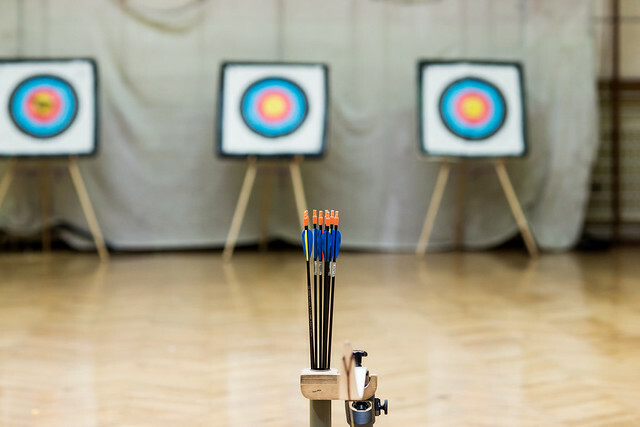 If you thought other sports were competitive, try and gather a group of your friends together to shoot some arrows. A whole lot of fun, banter and sore losers (might of been me..) Check out the pictures below - all by Dan! 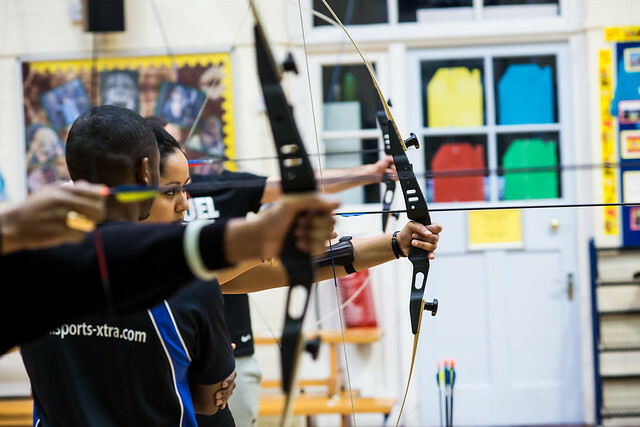 If you are looking for a new team building, fun activity for your friends to take part in check out IS Coaching's Archery Session. Definitely a change to what you and your mates will be used to! We have a pair of free passes kindly donated by Is Coaching to giveaway at our #WeCookYouEat 1st Anniversary party! Join us on Wednesday 5th Feb for a night of cookin' & celebratin'. Loads of giveaways on the night and freebies. All food purchases comes with a lucky raffle ;-). Full details can be found here. Looking forward to seeing you all!